Figuring explores the complexities of love and the human search for truth and meaning through the interconnected lives of several historical figures across four centuries—beginning with the astronomer Johannes Kepler, who discovered the laws of planetary motion, and ending with the marine biologist and author Rachel Carson, who catalyzed the environmental movement. Stretching between these figures is a cast of artists, writers, and scientists—mostly women, mostly queer—whose public contribution have risen out of their unclassifiable and often heartbreaking private relationships to change the way we understand, experience, and appreciate the universe. Among them are the astronomer Maria Mitchell, who paved the way for women in science; the sculptor Harriet Hosmer, who did the same in art; the journalist and literary critic Margaret Fuller, who sparked the feminist movement; and the poet Emily Dickinson. Emanating from these lives are larger questions about the measure of a good life and what it means to leave a lasting mark of betterment on an imperfect world: Are achievement and acclaim enough for happiness? Is genius? Is love? Weaving through the narrative is a set of peripheral figures—Ralph Waldo Emerson, Charles Darwin, Elizabeth Barrett Browning, Herman Melville, Frederick Douglass, Nathaniel Hawthorne, and Walt Whitman—and a tapestry of themes spanning music, feminism, the history of science, the rise and decline of religion, and how the intersection of astronomy, poetry, and Transcendentalist philosophy fomented the environmental movement. MARIA POPOVA is a reader and a writer, and writes about what she reads on Brain Pickings (brainpickings.org), which is included in the Library of Congress's permanent digital archive of culturally valuable materials. She hosts The Universe in Verse—an annual celebration of science through poetry—at the interdisciplinary cultural center Pioneer Works in Brooklyn. She grew up in Bulgaria immersed in music and mathematics. 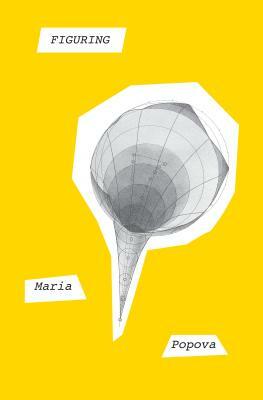 "Figuring is a love letter to scientists of the past, women whose lived have all too often been eclipsed. . . striking. . . profound. . . dizzying in its scope. . . inspirational. . . There is grandeur and beauty in this view of science. . . few have so fulsomely explored how science and poetry, love and learning, and affairs of the heart intertwine in a way that, even after more than 500 pages, leaves one trembling for more. But like other affairs of the heart, the joys of reading Popova’s prose are perhaps best experienced for oneself.” —Science!